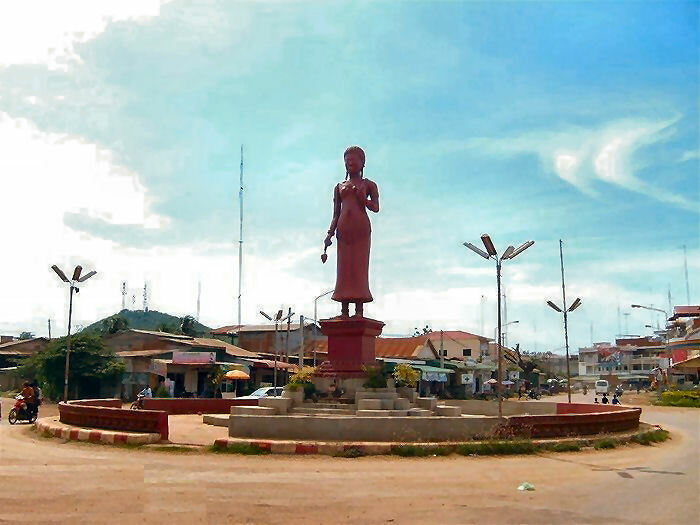 Banteay Meanchey is located in north-western Cambodia, at the border of Thailand. The capital of this province is Sisophon. 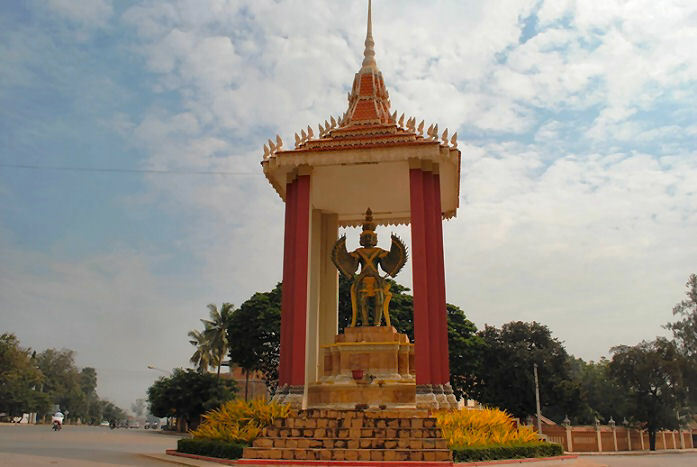 This quiet province, which is also the main border with Thailand, is the town of Poipet. This is a lively and cheerful town. Anyone who to go Phnom Penh or to visit the temples of Angkor and is coming from Thailand, should pass Poipet. In this town there are many good hotels and casinos. There is a strip of casinos, guesthouses and hotels right between the Thai and Cambodian customs, so the Thais can come to gamble in Cambodia without having to pass the Cambodian immigration. In Thailand gambling is prohibited and the Thai, who want to gamble, come to Poipet. One calls Poipet: the Las Vegas of Cambodia! The province has been a plaything vane between the Khmer (Cambodian) and Thai. We can say that the Rhode Khmer and then the Cambodian government have made an end to that in 1988. Then Banteay Meanchey became a separate province of Cambodia. The province is mostly covered with vast lowland, with a few highlands in the north and east. The main rivers are the Mongkol Borei River and the Sisophon River. While most travellers do not stay a long time in Banteay Meanchey, there are a few attractions in this province. There is an old temple complex: Banteay Chhmar, some 55 km outside the city. Then there is the Banteay Trop, Ang Trapeang Thmor and Ang Teuk Kang Va Reserve , where you can go swimming, fishing or boating. But, as mentioned, most travelers travel quickly to Angkor and / or Phnom Penh. The town of Sisophon is approximately 359 km from Phnom Penh. 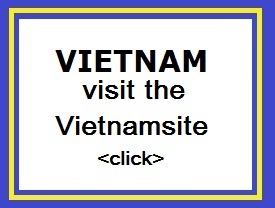 You travel to Phnom Penh by the national road number 5. There are not many choices of transportation in the province. Whether you have your own bike or you should take a shared taxi. But wait, let's not forget the train. Or maybe we should just forget it, because the train is very slow. We better can not mention the schedule of departure and arrival of the train, because they are never the same. The train from Battambang has to arrive mostly between 10:00-11:00 in Sisophon. The journey takes about 3.5 hours, but that's about double the time that the shared taxis need. But there is an advantage: unlike most things in life, the train ride is free! It will not take a long time before the poor Cambodians will have to pay for the ride. For us: the government has just not a good train service for tourists. The economy of the province is 93% based on agriculture and the remaining 7% is in the hands of fisheries and trade. Due to its border with Thailand, is the casino business is booming and this is an increasingly important economy of the province.